If space is tight you need to choose furniture that really performs. Take our Revo table. Clearly a coffee table, it’s as practical as it is beautiful. At 115cm long, 65cm wide and 23cm high as a coffee table it’s the perfect place for drinks, magazine and newspapers. But like all the best things there is another surprising side to Revo. 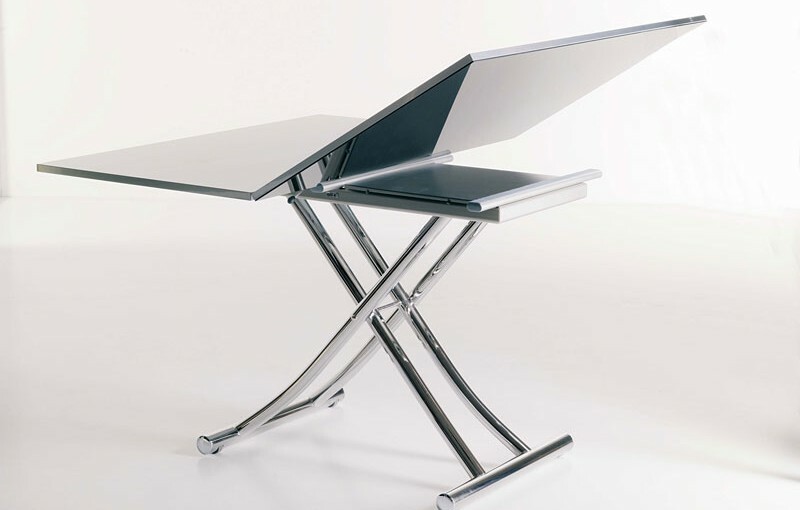 It opens up in a matter of seconds to become a stylish dining table that comfortably seats 8. There are no leaves to store, no fiddly screws to undo. At 130cm long, 65cm wide and 80cm high Revo has become the perfect dining table. Better still Revo can be any height between the 23cm coffee table and 80cm dining table. Ideal if you need to work a little in the evening or sneak a cheeky TV supper. Or perhaps you simply prefer a coffee table set a little higher. Revo is available in glass or wood and priced from £995, including delivery and installation. Naturally, we will remove all the packaging for recycling too. 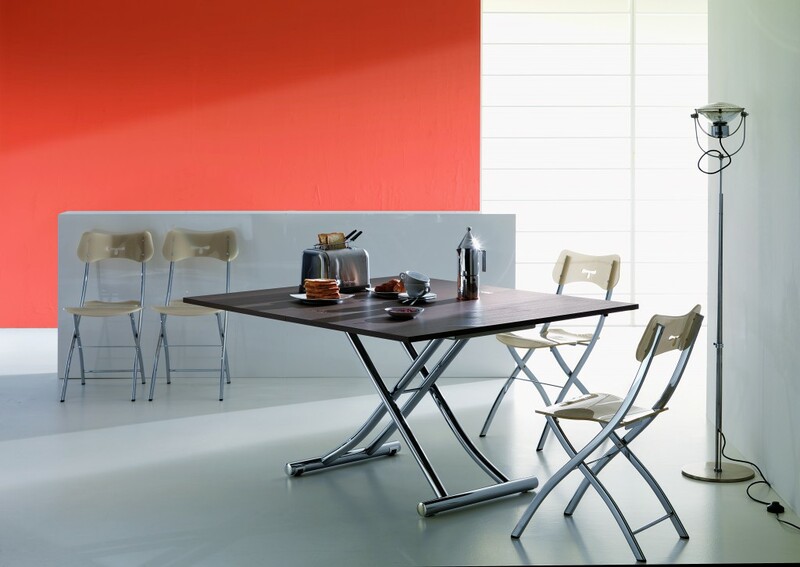 All our transforming table products are guaranteed for 2 years. Revo is just one of a range of innovative products we offer here at Furl. There are chairs that fold down to a tiny 7cm. They work brilliantly with both Revo and Console, a table from our range that quickly transforms from a beautiful console table to a dining table to seat 10. 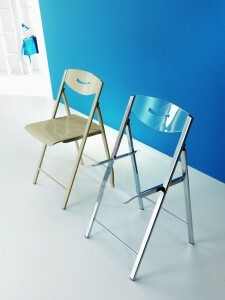 Like everything at Furl the transforming tables and folding chairs are the very best quality. We specialise in giving you space and either make our products ourselves or have them crafted for us to our exacting standards and specifications. The Revo transforming coffee table is on display for you to see and try at our showroom in London. Call us on 0208 451 6999 for more information or to arrange an appointment to visit. Next Next post: Who are Furl?